It was back in the summer of 2017 when I first heard about the US lawsuit “Juliana vs US” where 21 youths are suing their government over inaction on climate change. Since I’ve been following the story, a lot has changed. 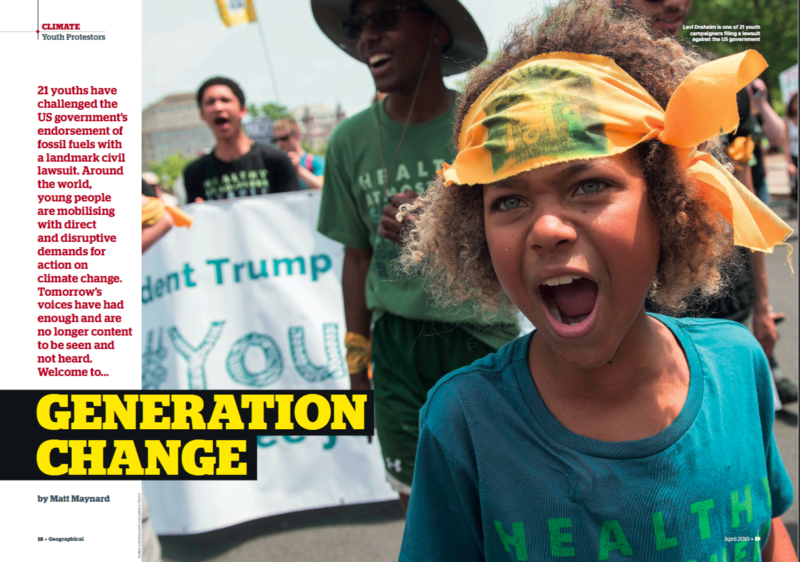 Youth climate protest is now set to become a new civil rights movement, with a new wave of school strikes and protests drawing 1.4 million students onto the streets on March 15th. For Geographical’s April cover story I talked to the named plaintiff Kelsey Juliana from the US law suit, and spoke also to some of the voices behind the informal but wildly influential protests that have taken dissent down to the streets. Extract below. Cover and feature photos by Robin Loznak. In November 2018 a 15 year old Swedish girl named Greta Thunberg announced she would not be attending the award ceremony for the Children’s Climate Prize because other nominees would be making the journey by aircraft. Three months earlier, in the build-up to national elections, she had gone truant from school, instead travelling daily to the Swedish parliament building with a black and white sign – “School Strike for Climate.” Greta is open about her Asperger syndrome. The protest of this solitary child, seated on the streets and protesting with laser-like-focus on an issue that seemed bigger than her years made for uncomfortable viewing. News of her strike spread. Greta steered her social media followers though the mire of equity issues, year-on-year emission cuts and nationally determined contributions – providing an unflinching fresh voice on the radically challenging realities of climate science. But solidarity, as with any social outlier, was slow coming at first. Drawn perhaps by the international media interest, as much as identifying with her cause, a trickle of children and a school teacher joined in. In Castlemaine, Australia a sympathy strike was called for Friday November 30th. Attempting to limit disruption, Prime Minister Scott Morrison’s condescending rant demanding ‘more learning in schools, and less activism,’ spectacularly backfired, encouraging an estimated 15,000 children in 30 localities across Australia to skip school and join the protest. Meanwhile Thunberg had been invited to speak at the UN Framework Convention on Climate Change (UNFCCC) conference in Poland, travelling overland to Katowice by train. ‘You are not mature enough to tell it how it is,’ she scolded world leaders at their 24th annual attempt to mitigate climate change. ‘Even that burden you leave to us children.’ Thunberg is too young to even be a millennial, belonging to Generation Z, born from the late 90’s onwards. Yet here she was making decision makers squirm. Their attempts at climate change mitigation up to that point dismissed as child’s play. Whilst the US youth lawsuit relied on existing structures of the legal system to achieve climate action, these young people in Europe and Australia were acting outside it. In the closing months of 2018, the Juliana plaintiffs’ much anticipated trial was once again delayed by the government defendant following a decision from Trump’s restructured Supreme Court. Thunberg’s strike against the system continued. By January 2019, the teen who has a diagnosis of selective mutism had an outreach of 356,000 accounts across her social media channels. (UNFCCC Exec. and former Secretary of Foreign affairs to Mexico, Patricia Espinosa, reaches only 89,000). On January 24th Thunberg’s #climatestrike rally-cry called 35,000 students onto the streets of Brussels. Any leader attempting to dismiss these youths as merely bunking off school, only needed to tune into the World Economic Forum. A 16 Swedish girl with Aspergers was addressing the owners of the world’s resources: ‘Some people, some companies, some decisions makers in particular have known exactly what priceless values they have been sacrificing to continue making unimaginable amounts of money. And I think many of you here today belong to that group of people.’ The climate youths were now on all channels. 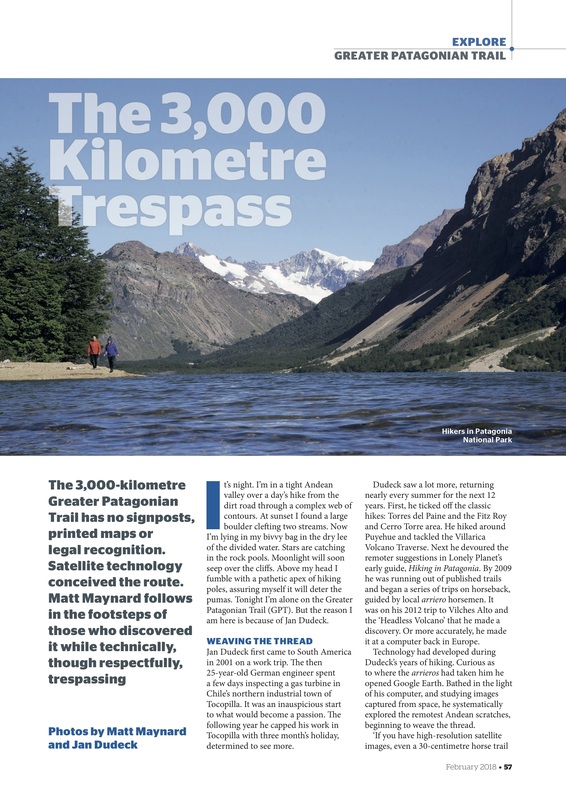 It takes some careful pitching of ideas and an understanding editor to let you write about a 3000km trespass. 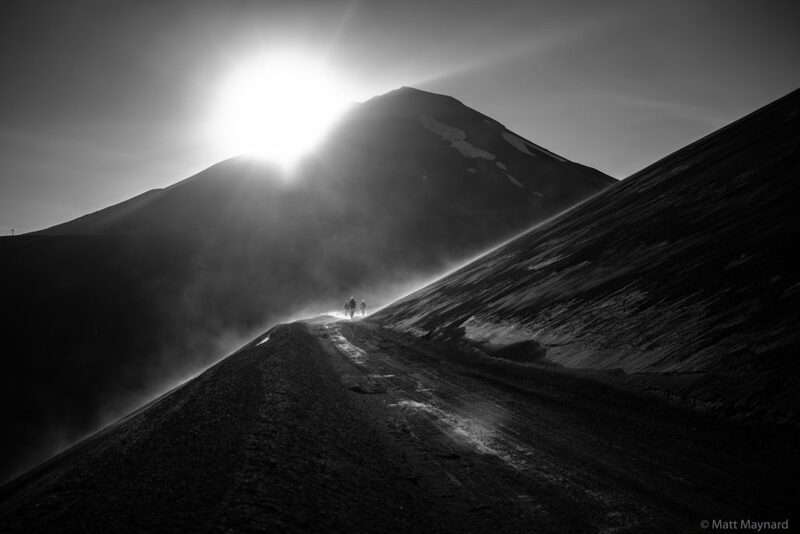 Since late 2017 I’ve been on the trail of this story – both on the ground in the Andes and in the halls of government as Chile prepares to pass a new “right to roam” styled access law. The Greater Patagonian Trail – as its creator Jan Dudeck calls it – is a 3000km network of animal tracks, arriero cowboy paths, indigenous peoples’ trails as well good ol’ deep-backcountry bushwacking linking Santago with the climbing mecca of Fitz Roy in deepest Patagonia. 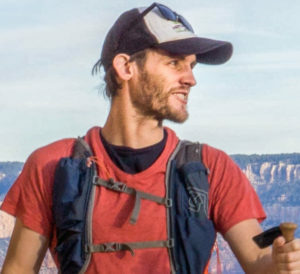 This is the first publication from my year of adventures on the GPT, and includes conversations with Jan Dudeck about the trail’s creation and future development. There’s a lot at stake with this project. And the trail’s character (somewhere between the Revenant and Reese Witherspoon’s Wild) is not for everyone. But if done right – the GPT could have far reaching consequences of environmental protection; promoting sustainable lifestyles and improving economic prosperity in the Andes. Continuing reading by subscribing at Geographical magazine.